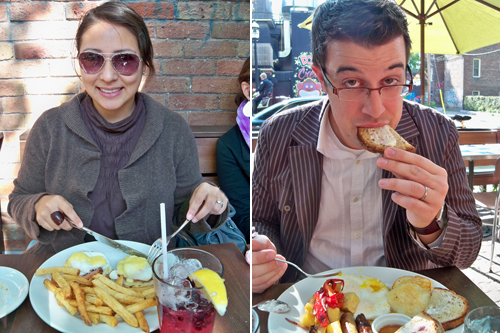 We had some tasty food in Toronto. The highlight was probably the last thing we had before leaving town. We stopped at the Drake for brunch and I spied these scones on the menu. They were so buttery and crumbly. The vanilla cream and gooseberry jam were amazing too. I love brunch. Not just brunch food but what brunch means. It means you didn't have to get up early for breakfast and you are having a laid back day. It was such a good brunch. 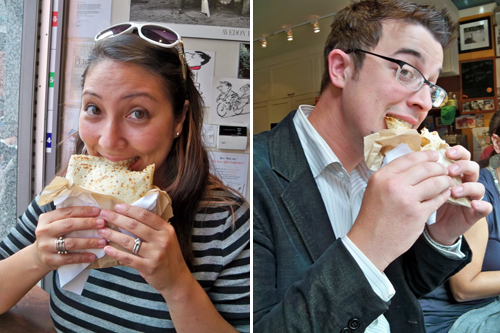 Of course we had to have crepes again. 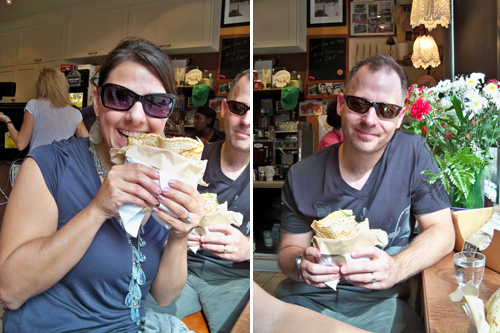 I think Crepes a Go Go is my favorite restaurant in Toronto. 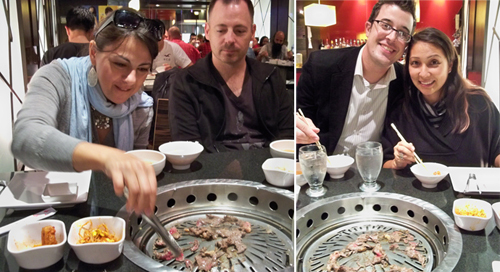 We tried something new this trip too... we went to a Korean BBQ. I think Tina really enjoyed fiddling around with the grill. 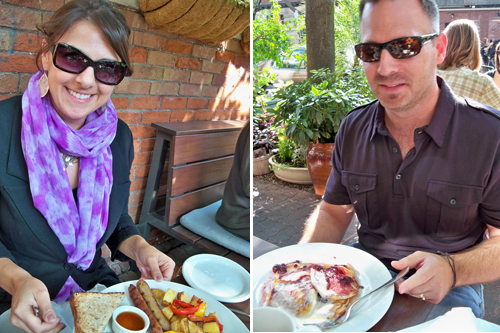 Crepes, scones, and BBQ, oh my! I definitely had fun grilling the beef, the squinch and tenderize technique worked well. 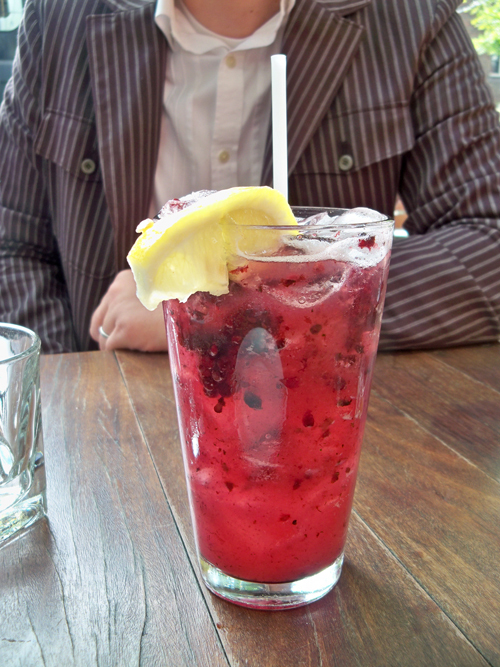 Another wonderful year in Toronto, complete with random Colin Firth spotting. 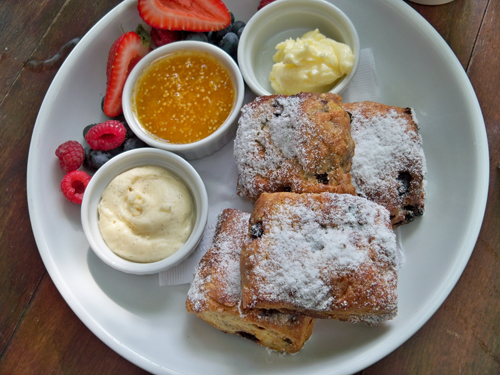 And those scones - those scones - those scones. Mmmmm! Mmm...brunch is my favorite meal, too. Ooooh, Korean food! And look at those cute little banchan bowls. I would have been tempted to sneak one into my purse, but then my purse would smell like kimchi. the drake is the best. you should stay there next time, if you didn't. the rooms are really cute.